The tree hole crab (Globonautes macropus) is a crustacean (crab) belonging to the family Gecarcinucidae. It is a rare species endemic to the upper Guinea forest block of western Libera (Bong, Lofa, and Mesurado Counties) and Guinea. Populations may also occur in the forested parts of Sierra Leone which lie between these two known populations. 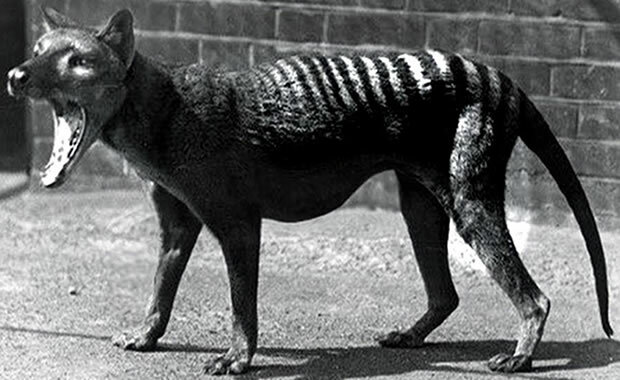 Only a few specimens remain in the ten sites where it can be found. The tree hole crab is threatened by loss of habitat due to human disturbance (deforestation and war/political unrest). Copyright Notice: This article is licensed under the GNU Free Documentation License. It uses material from the Wikipedia article "Globonautes". Glenn, C. R. 2006. 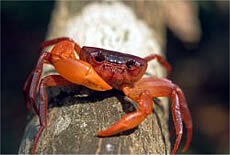 "Earth's Endangered Creatures - Tree Hole Crab Facts" (Online). Accessed 4/23/2019 at http://earthsendangered.com/profile.asp?sp=3251&ID=1. Need more Tree Hole Crab facts?